With contentious Governor race going on that includes the states Sec of State over looking the vote? One shouldn’t be surprised with voting issues occurring …. As Georgia voters headed to the polls on Tuesday morning, voters in Gwinnett County grappled with delays and technical issues in at least four precincts. 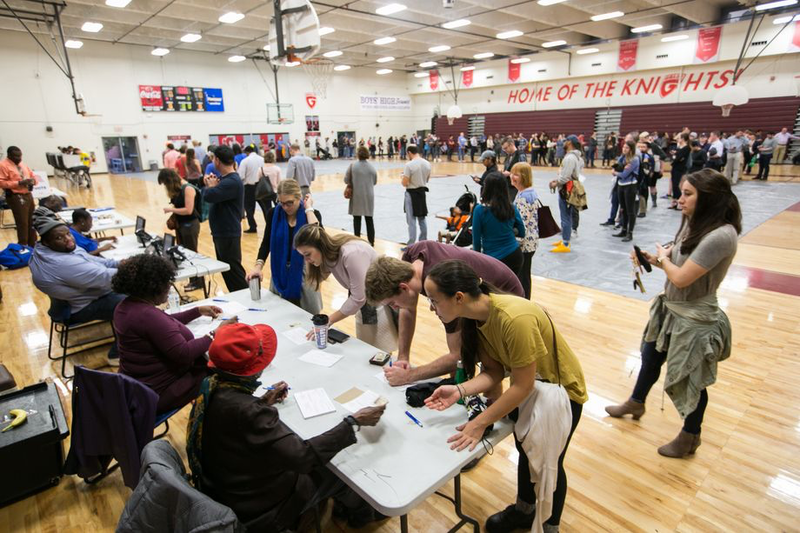 According to the Atlanta Journal-Constitution, machines in at least four voting locations in the county temporarily went down, causing voters to resort to paper ballots. The issues further extended long lines at polling locations. Later, issues were also discovered at Annistown Elementary School and Mount Vernon Baptist Church in Lawrenceville. In Georgia, before a voter uses a voting machine, a poll worker first creates an access card that contains an electronic copy of a ballot. The voter then takes this card, places it into the voting machine, and casts their votes. Gwinnett County spokesperson Joe Sorenson told the Journal-Constitution that the issue is related to the machine that creates the access cards but did not offer further details, adding that new machines will be brought in. In a later report, NBC News noted that for at least one location, the machines were not connected to power cords and ran out of battery power. The issues have created some confusion and led to increasingly long lines at the affected locations. “We’ve got people who are voting with the paper ballots, and we’ve got people who are standing to wait for the machines to be fixed, and we’ve got people who said they are planning to come back,” Sorenson told the New York Times. Gwinnett County is the second-largest county in the state and has seen rapidly shifting demographics over the years, particularly when it comes to increases in the county’s nonwhite population. The Washington Post notes that the county has gone from “67 percent white in 2000 to 62 percent nonwhite” in 2017, and that Democrats in the state have worked to mobilize voters of color in the county in an effort to turn Georgia blue…..